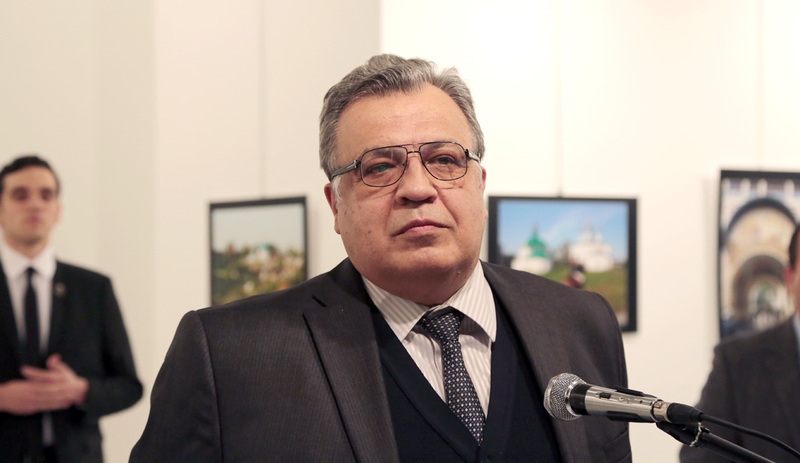 The Russian Ambassador to Turkey Andrei Karlov was killed at the gallery in Ankara, Dec. 19, 2016. Russian Ambassador to Turkey Andrei Karlov has died of wounds after an attack in Ankara, Russian Foreign Ministry Spokeswoman Maria Zakharova said on Dec. 19. "Today is a tragic day for Russian diplomacy," she said. "The Russian ambassador received a fatal wound at a public event in Ankara. He died later." "We qualify the events as a terrorist attack, we stay in contact with Turkish officials who have pledged that a through all-round investigation will be carried out. The attackers will be punished," she said. "Today this issue will be brought up at the UN Security Council," she said. "Terrorism shall not pass, we will take resolute efforts against it," Zakharova stressed. "The memory of the outstanding Russian diplomat, the man who has done much to counter terrorism, Andrei Karlov, will always stay in our hearts. The Russian foreign ministry will issue a relevant statement later on Monday."